This is my favorite of the lot, a little picnic set. The silverware seems to have been misplaced along the way, but the creamer, sugar and teapot really work. 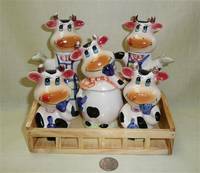 This is another neat little set; albeit the two pitchers in back, whose heads come off for filling, are more likely for oil and vinegar or some such than for cream. Close enough. Here’s another set with the same basic idea. Made in China of course. 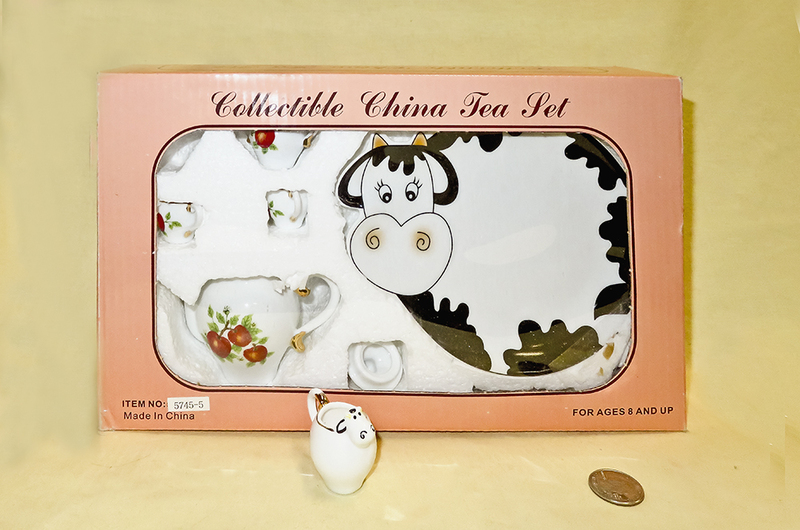 This is a cute little china tea set with a cow for the creamer. 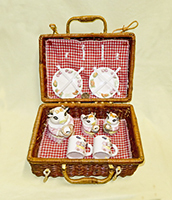 This is another china set, about the right size for playing with 18” dolls. 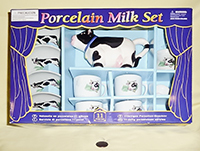 This set is porcelain – a bit unusual in that the ‘teapot’ is actually more like a normal creamer. There’s a sugar bowl with cover and 4 cups and saucers, but no creamer per se. 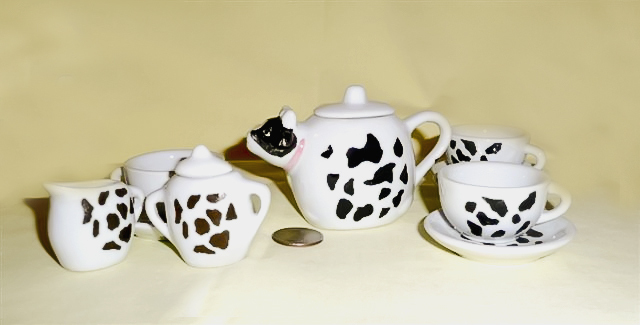 This cute little 1/12 scale dollhouse tea set came, as noted on the Miniature page, from the very delightful Black Butterfly Shop on Royal Street in New Orleans in 2000. 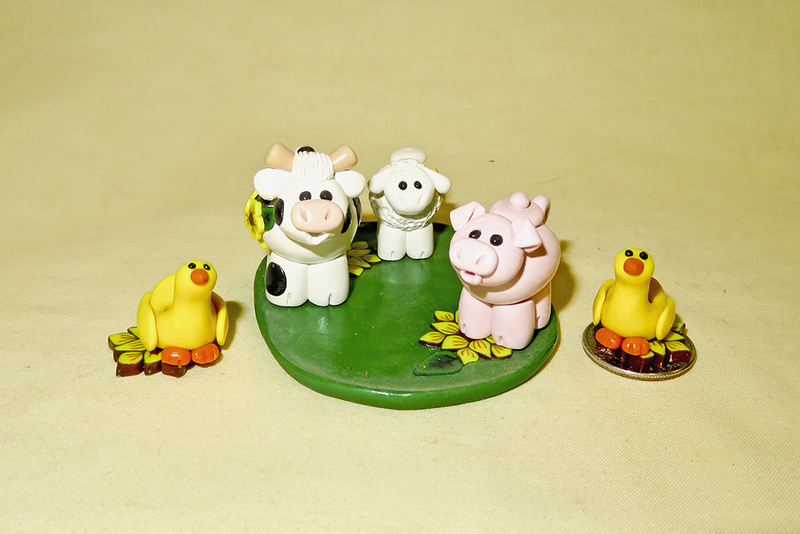 These polymer clay 1/12 scale sets were made, and sold on eBay, by Ellie Baggs, Tottenham, London. 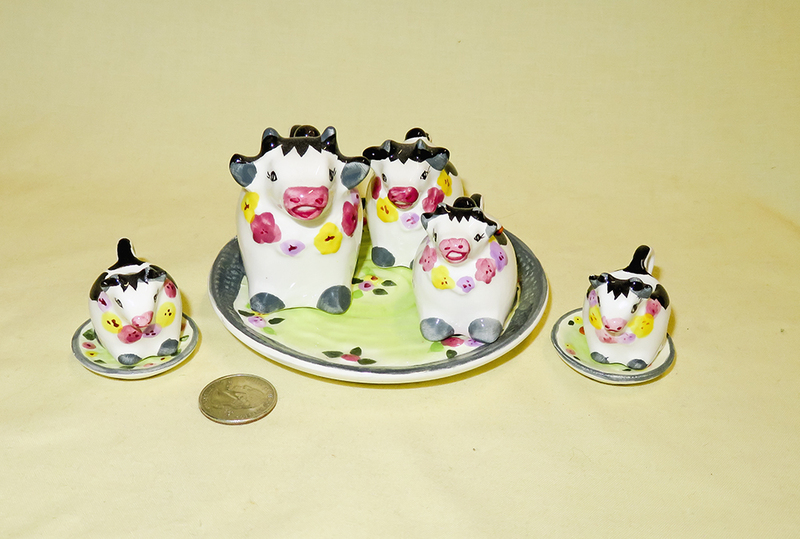 They are also shown on the Miniatures page. These two sets fall into the ‘collectibles’ category. 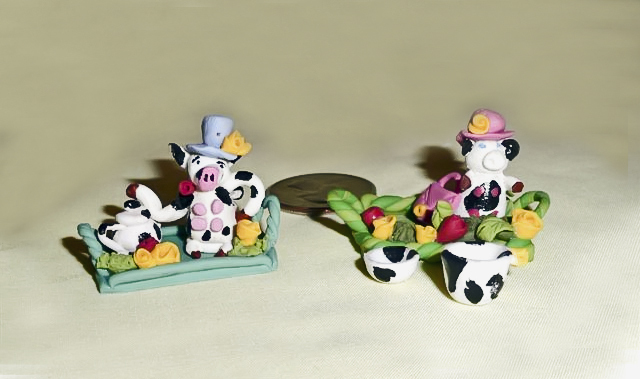 The one on the left is china (they don’t actually pour), and the one on the right is of polymer clay, created by Amanda Trifiletti of Ohio. 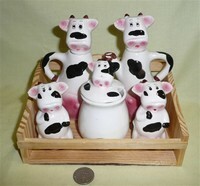 Then there are these, the resin dust collectors. 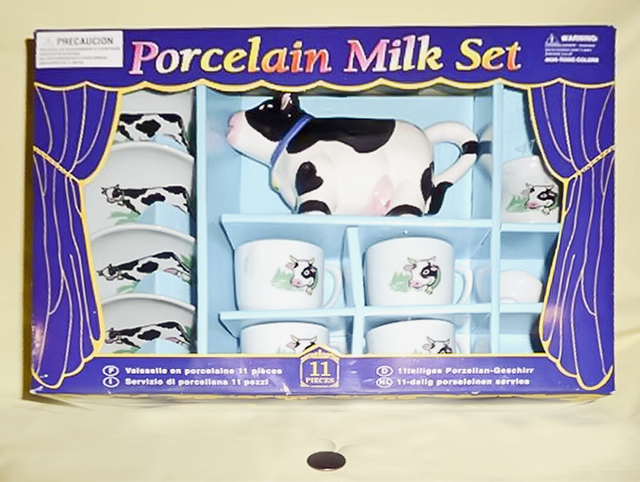 All kinds of themes – lots of farms naturally enough, but even a wedding, Christmas, and Hey-Diddle-Diddle.